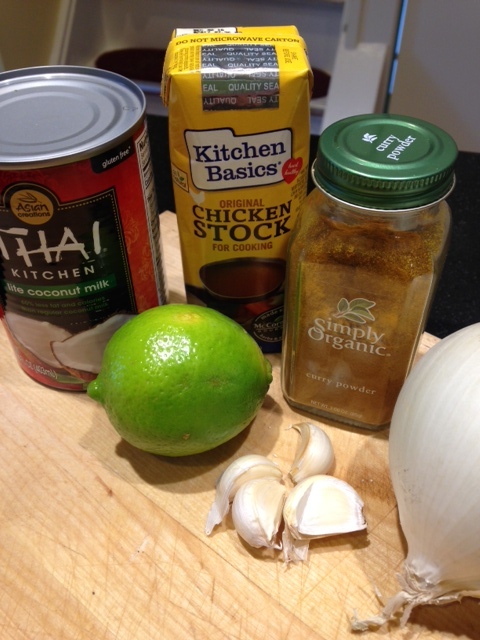 Coconut Chicken Curry. – Carbs & Fiber. Lately I’ve been working from home a lot more and while that has a lot of distinct advantages, it has also made me very aware of all the things that need to be done around the house. It’s frustrating to be at home and not really “be” at home; sure I can throw in a load of laundry here and there but I do have to be working regular hours and be just as accessible, if not more, as I would be in the office. One thing I can do is get dinner planned and started a bit early, which has been great. 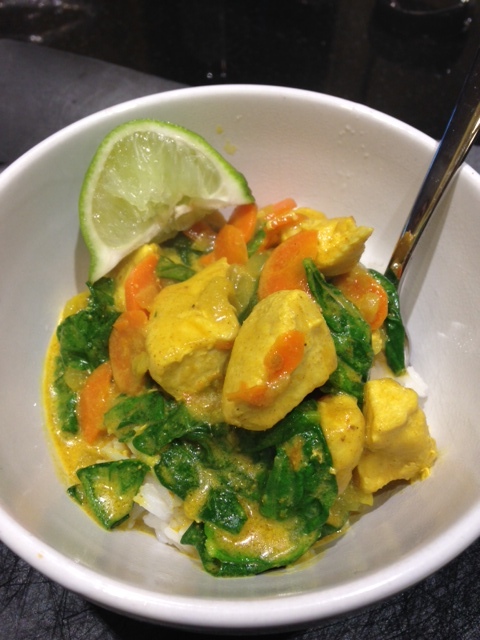 Because I’ll be working at home the next couple of weeks, I did a little meal planning earlier this week and one of the recipes I decided to try was this coconut chicken curry from my Keepers cookbook. In spite of being a bit scatterbrained when I was getting this together (I started the veg before I browned the chicken and then I overcrowded the pan when I did brown the chicken) it turned out very well. It’s a pretty forgiving recipe! I added thinly sliced carrots when I put the onions in the pan, and I stirred in about two tablespoons of half and half right at the end. It’s amazing how much just a little bit can change the dish. Next I Knit Some Things.